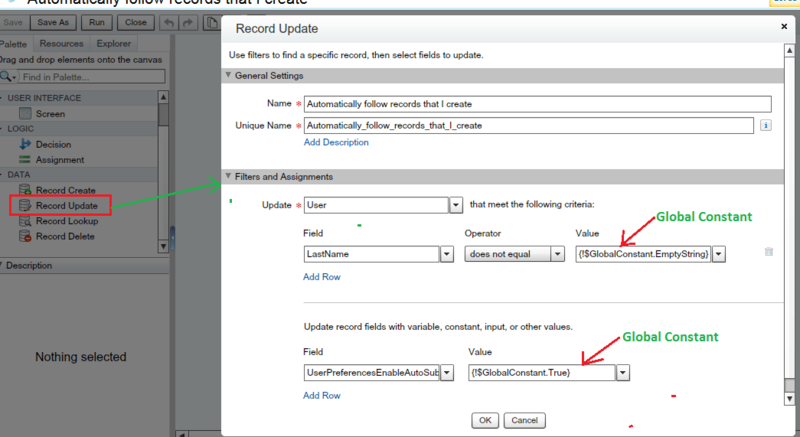 In Universal Container higher management wants a way to auto select Automatically follow records that I create check-box as soon as user record get created in Salesforce. 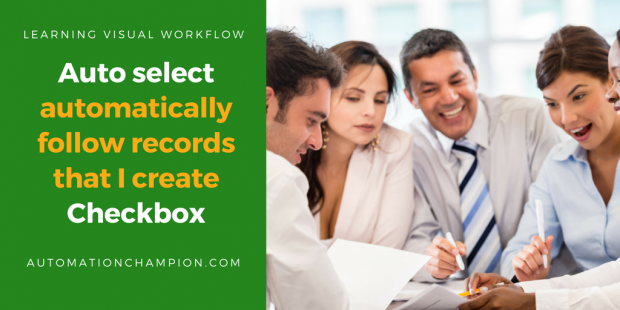 Now every user has to select it manually, Because of this check-box is not selected user won’t get any information about record on their Chatter Feeds. Note: – You can remove button and write a workflow with condition then it will fire flow action, when Last Name Not null. You can do all this after Spring’14 release, your administrator have to request to Salesforce to enable feature fire flow from workflow rule.